When it comes to your heating system, is it a boiler or a furnace? A boiler heats water to create steam, which is used to heat buildings through steam radiators. A furnace heats air, which is distributed throughout the building using air ducts. Furnaces are part of your building’s critical infrastructure, so it is important to keep them operating properly. Replacing a furnace can be an expensive repair. Make sure you know all of the information before choosing to purchase a new furnace. The average life expectancy of a typical furnace for residential application is 15 to 20 years. This can vary based on several different characteristics. Conditions of the environment surrounding the furnace can affect the longevity of the furnace’s efficiency. The size of the furnace also needs to be appropriate for the demand; otherwise a furnace could fail sooner than expected. Unexpected rises in energy bills may exploit a furnace on its way out. Finally, yellow flames indicate dirty burners within the furnace, which could shorten the life of the unit. Keeping up with basic maintenance can make the difference between a furnace lasting 10 years or 20 years. Be sure to check the burner flames often. These flames should be evenly sized and emit a blue flame color. If the burners or surrounding areas are dirty or dusty, then turn off the power and vacuum the area. Make sure the blower is clean by using a stiff brush. Keep up with the manufacture’s recommendations for changing the furnace filter. Finally, ensure that the pilot and hot surface ignitors are clean and free of dust. There are tax credits offered by the United States Federal Government for those who choose to upgrade their homes and businesses with high efficiency products, such as furnaces. There are different categories for tax credits. The home improvement tax credit can be upwards of $500 per year. Other tax credits offer to payback 30% of cost without an upper limit. 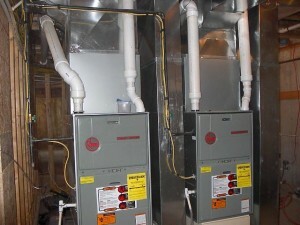 These tax credits should be taken into consideration when deciding on which new furnace to purchase. Contact your local plumber for more information about the best furnaces with the highest efficiency ratings. A reliable plumbing company will happily provide you with all of the information you need to make an intelligent decision. 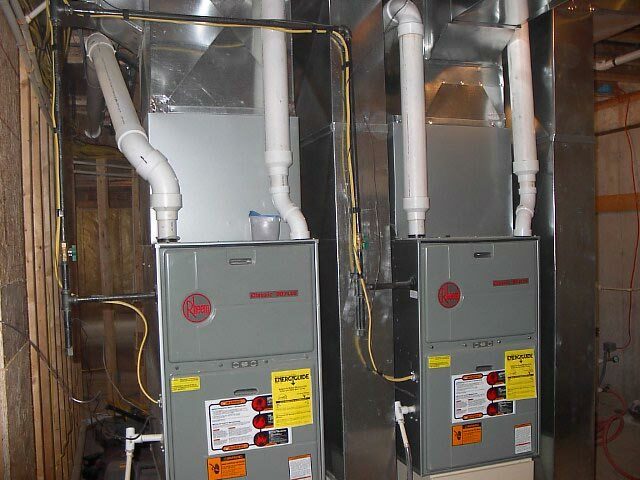 The furnace replacement is a complicated job that is not recommended for non-professionals. A trustworthy plumbing company should install your new furnace.